Hello loves! TGIF, I missed weekend sooo much. 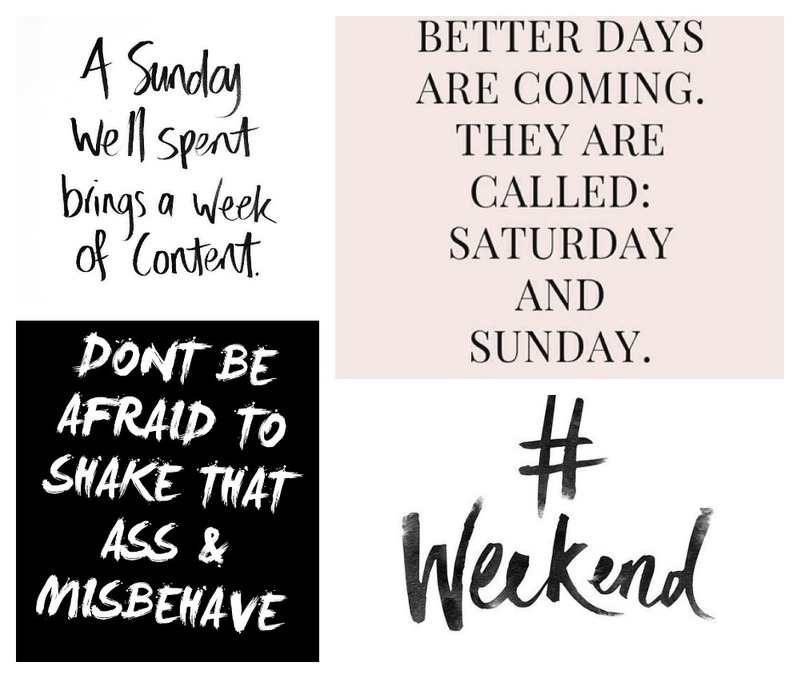 So today here are some weekend quotes to get you in the mood. I know based on this post it looks like I’m gonna spend it partying and chillaxing, but the reality is quite different. Work. Study. Train. Repeat. 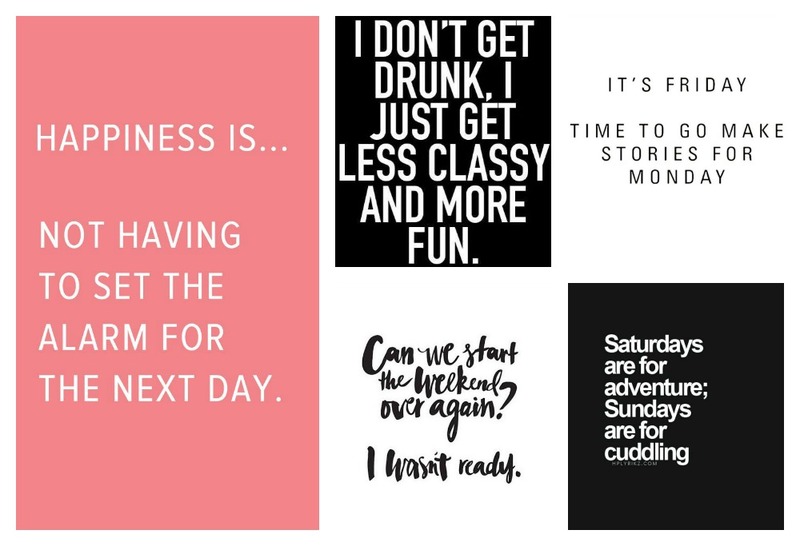 I really hope I will manage to squeeze in a date night, and some me time. 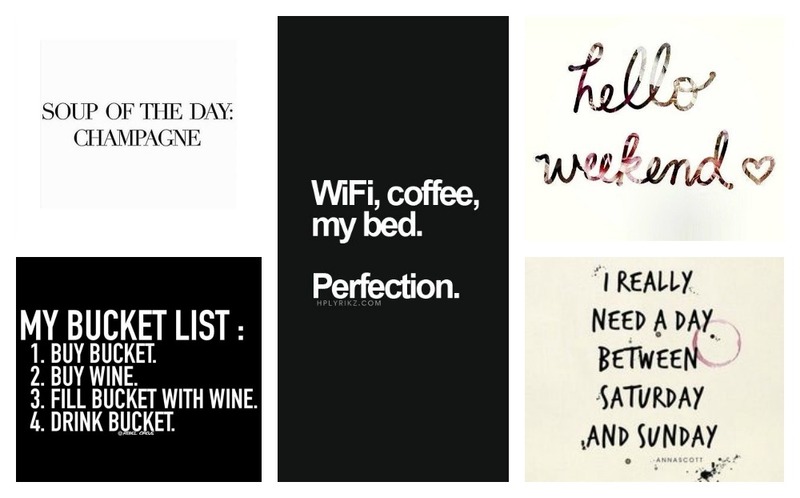 Hope next weekend will be more in the spirit of this mood board!